We did it again. 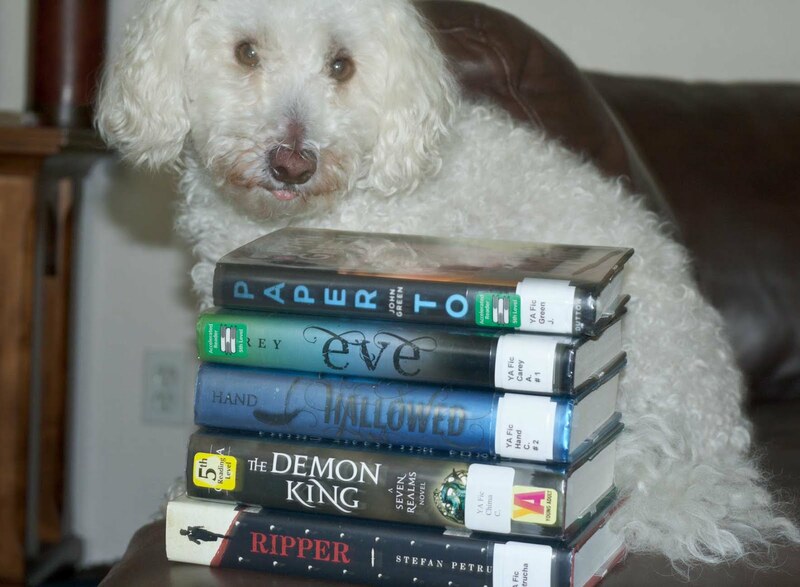 We went to the library just to return books and wound up borrowing more. There were a lot of great books on the shelves this week, and we had to force ourselves to leave before we went too crazy. 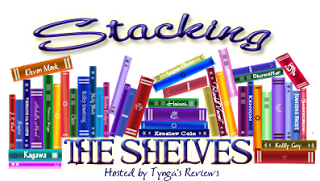 Be sure to leave your link so we can check out what you added to your shelves this week! Hallowed was an amazing book and Crossed was pretty good, and I've heard mixed things about Eve and the Demon King, but I really want them and I hope you enjoy! I really want to check out The Demon King and the Unearthly series, too. Thanks for stopping by! I started Crossed and didn't finish, will try to get back to next month. Paper Towns is supposed to be amazing. I thought Matched was OK; the ending left me curious enough to see what happens in Crossed. Hallowed is another book that is on my E-Book TBR list. Hoping to get to it soon. Come visit me as well. Ally really liked the first Unearthly book. I need to read it myself soon. Thanks for stopping by! Love the pic of the doggie. He doesn't look too impressed by the books though. Here's what's on my Shelf this week. He's not too impressed unless it's time to eat or go for a walk, lol. Thanks for stopping by! Your dog is so cute! I need to read Eve! Wildwood Dancing and Crossed are both great. 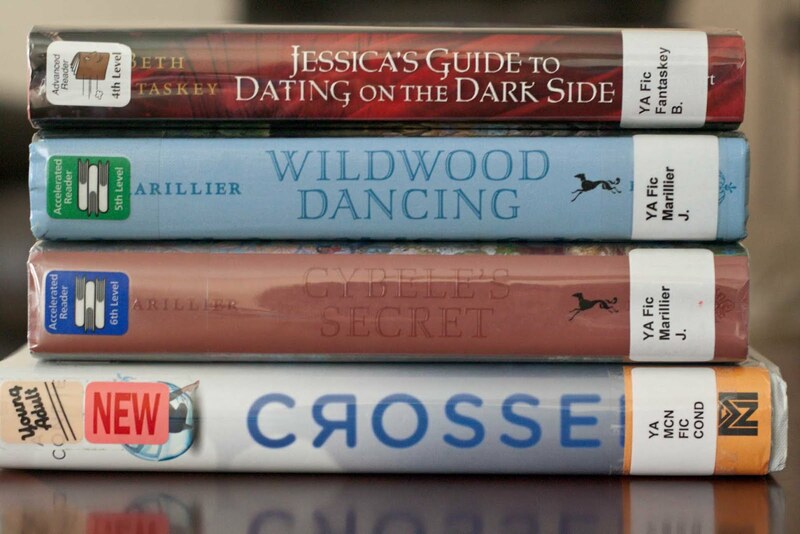 I've heard great things about Juliet Marillier's books, so when I spotted Wildwood Dancing and Cybele's Secret at the library, I grabbed them. I know exactly what you mean about having too many books and not enough time to read them, lol. Thanks for stopping by! Oh you're lucky you had a lot of great books! There are some I would love to try. I hope you'll both enjoy your new books. Happy reading! The library was very good to us this week, lol. Thanks for stopping by! Wow, you both got some awesome books. 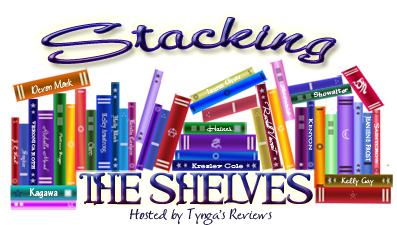 Lots are on my TBR! We didn't plan on getting books this week, but when we spotted some titles that we've been itching to read, we couldn't resist. Matched was OK, but a bit of a slow read for me at times. I'm hoping that the action picks up in Crossed. Awww cute poodle! Library loot rock! I wonder if my library has Eve and Ripper in stock yet. I requested them a few weeks ago. Don't you hate it when you really want to read a title and they don't have it. Anywho that's alot to read in two weeks. Good Luck and Happy Reading! Thanks for visiting my STS! Our library's pretty good about acquiring new titles. Of course, there's usually a waiting list for them. My cousin has been waiting his turn to read Insurgent for quite a while now. I loved Hallowed! Tucker <3 I really enjoyed Jessica's Guide to Dating on the Darkside. It was a cute read. I still need to read Crossed. Thanks for stopping by! I've heard that Jessica's Guide to Dating on the Dark Side is really good- I'm looking forward to reading it. Lots of great books this week, ladies! I see several that I want to read: Eve, Ripper and Wildwood Dancing, just for starters. I hope you love them all! Happy reading! 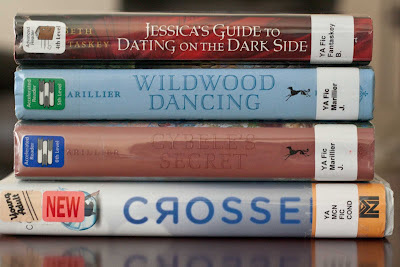 Wildwood Dancing is supposed to be excellent- I was excited to see that the library had it. I started quite a few series recently and thought it was about time I caught up on the sequels, so I got Crossed this week. It looks like a good book, hopefully we'll like it! Thanks for stopping by! Matched had been on my TBR list for a while, and when the library finally got it back in, I borrowed it. It wasn't my favorite dystopian, but I do want to see what happens in Crossed. Excellent borrows =) I personally LOVE the Jessica series! I love the title, and I'm hoping that the book is just as interesting. Thanks for dropping by! Love the doggy!!!! The Demon King was really good I hope you enjoy it!!! Thank you so much for being my second follower!!! Yeah, I love my doggy too! I'm uber excited to read the Demon King! Thanks for stopping by! Oh I hope you enjoy Crossed ! I personally liked it more than Mathced, but I seem to be in the minority :) hopefully you like it! And I can't wait to read The Demon King - I haven't read the series yet but it looks perfect for me! I'm actually hoping that I liked Crossed better than I liked Matched. Matched was all right, but I wasn't wowed by it. I do want to know what happens next, though. He's adorable when he's not getting into mischief, lol. Thanks for dropping by! Wow, a great haul! :) I really want to read Paper Towns! Yeah, I heard Paper Towns is supposed to be really good! Thanks for stopping by! I enjoyed Paper Towns and Jessica's Guide to Dating on the Dark Side. I also like the look of The Demon King. Your dog is soo cute! :D Happy reading. I have been hearing lots of good things about Paper Towns and The Demon King and I'm really excited to read them! Thanks for stopping by! Happy reading ^^ & great haul both of you! I hope Eve is good, I have very high expectations for it! Thanks for stopping by! I hope that it's going to be a good read. Thanks for stopping by! I'm interested to see where the series goes. Thanks for stopping by and following! Ohmigosh - what a CUTE dog!!!! Anyway, Hallowed, Eve and Paper Towns look really good and apparently, Crossed is awesome too! We're excited to read all of them! Thanks for dropping by!